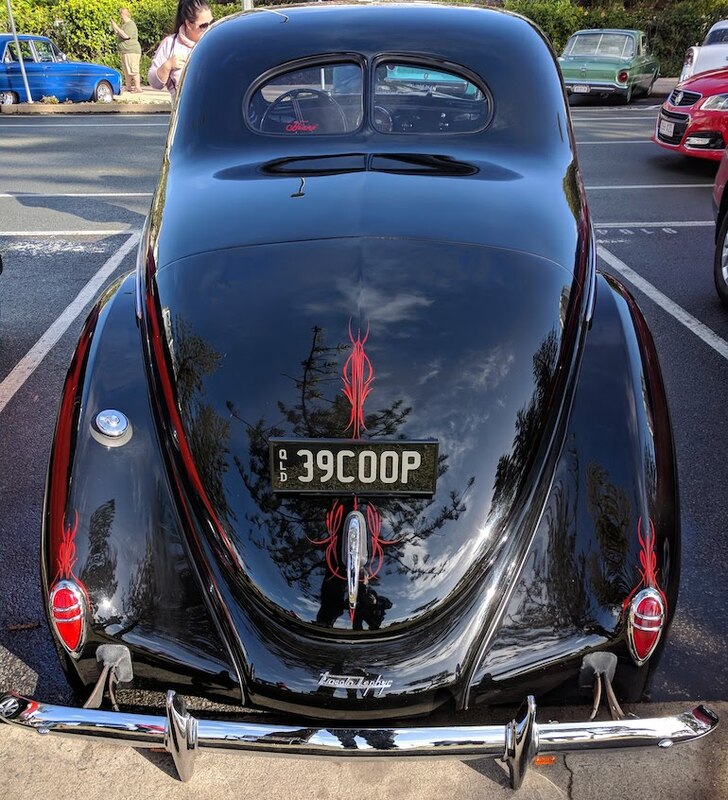 Legendary Australian classic car show, Cooly Rocks On, attracted a great range of classic cars to the streets of Coolangatta Friday. The event will continue throughout the weekend, closing on Sunday, June 10th, 2018. 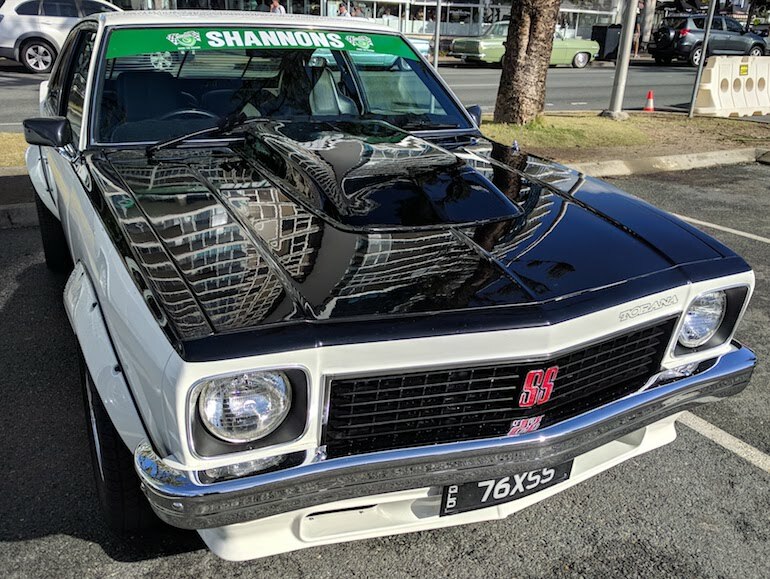 Australian classic cars mixed with American muscle and hotrods. 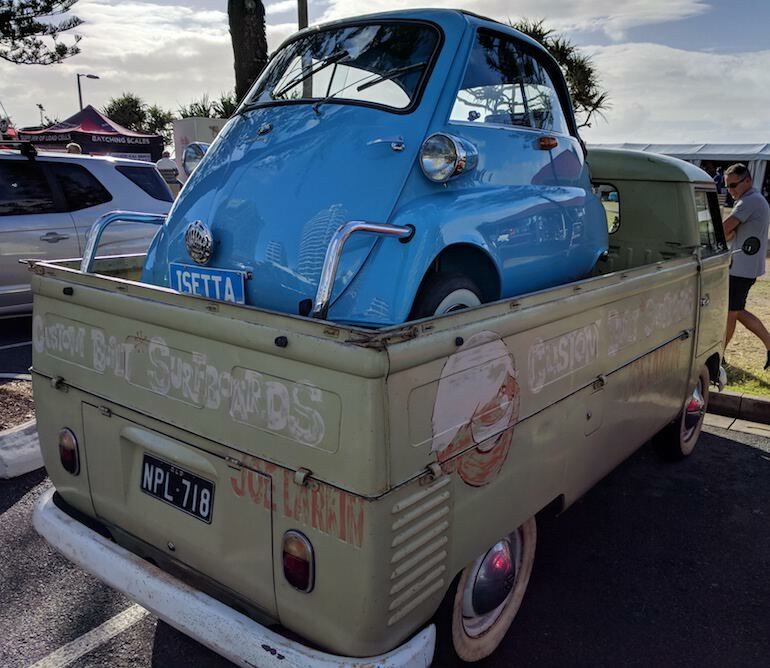 Some Europeans added to the mix with a BMW Isetta, the three wheeled exotic, and several split-window Volkswagen Kombis from the sixties. 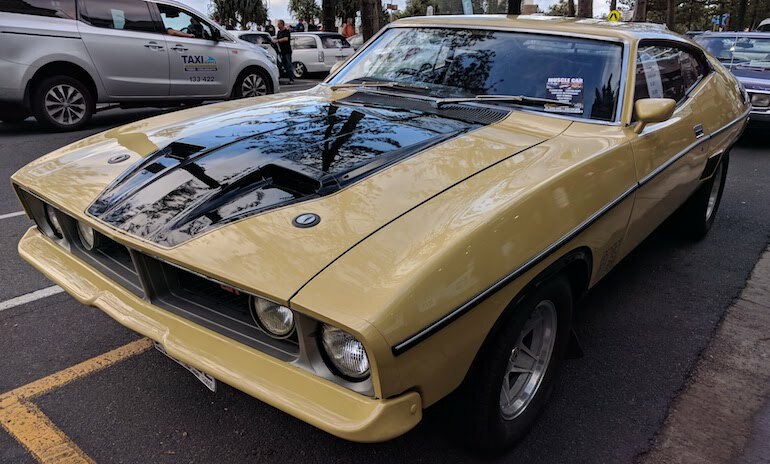 The giant killer of the Australian muscle car era. 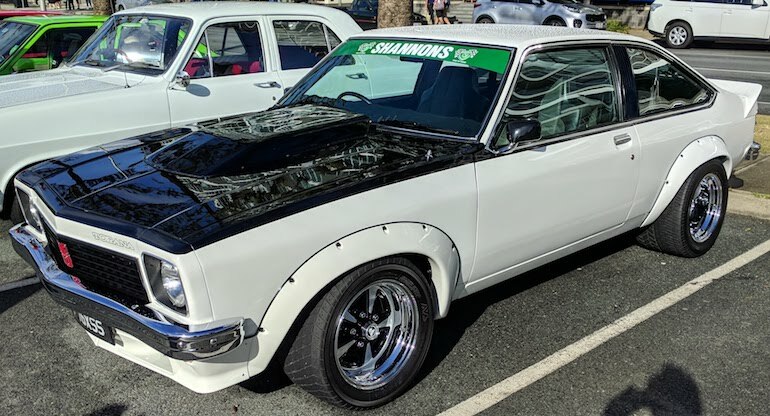 A 1976 Holden Torana packed a punch with it’s 308 cubic inch V8 engine. A proven racetrack winner in Australian Touring Car Championship rounds. 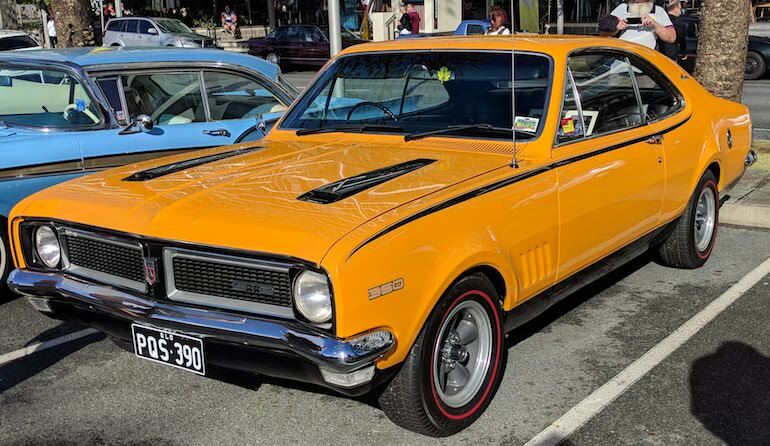 This bright orange Holden Monaro HG GTS has presented in as original condition as possible. This 1970 muscle car was the top of the range luxury sports coupe of it’s time. 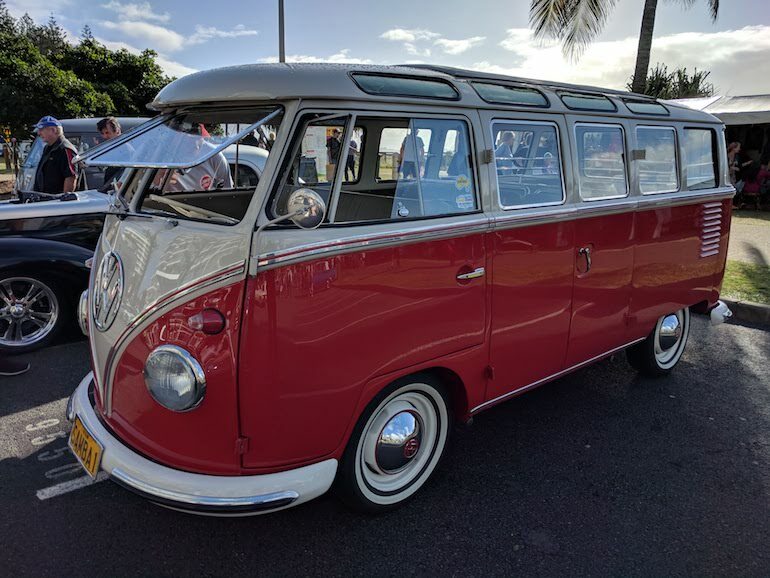 23 window VW Kombi bus in perfectly restored condition is probably one of the most valuable cars in the show. Early version of the crewcab ute. 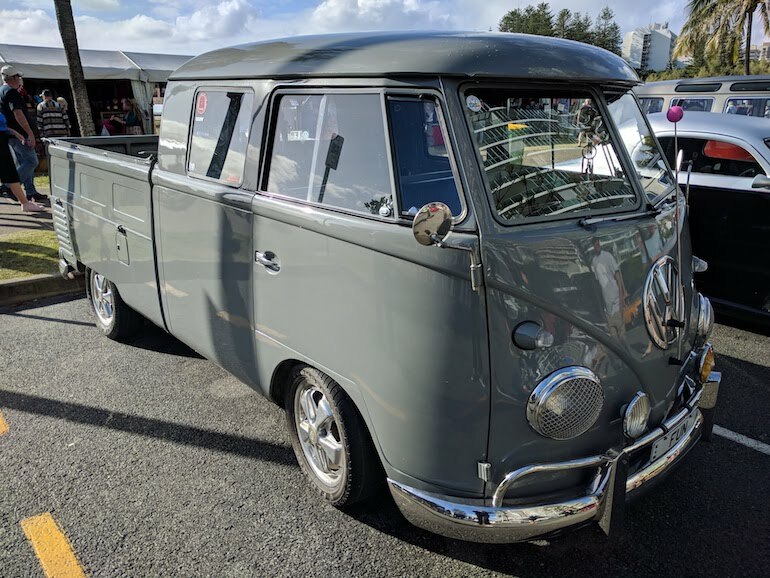 A Volkswagen Komi pickup with split windshield. 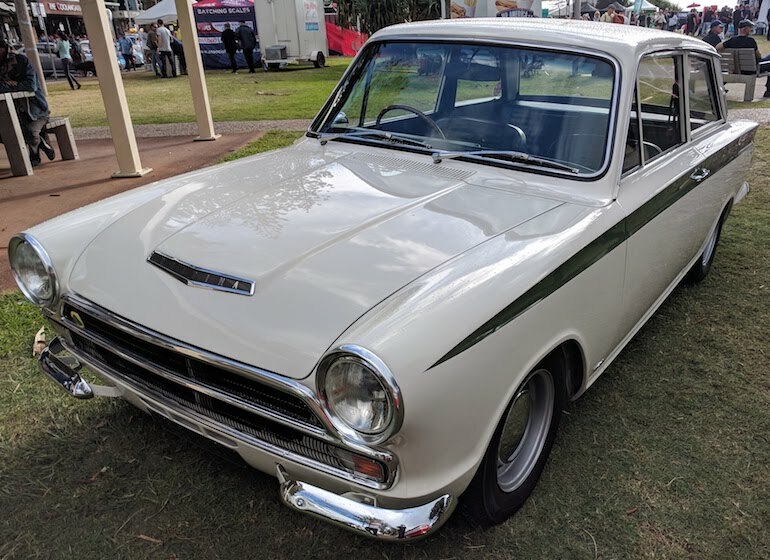 Kombis were always present in the Australian culture in the 1960s so this marque is well represented at the Cooly Rocks On event. 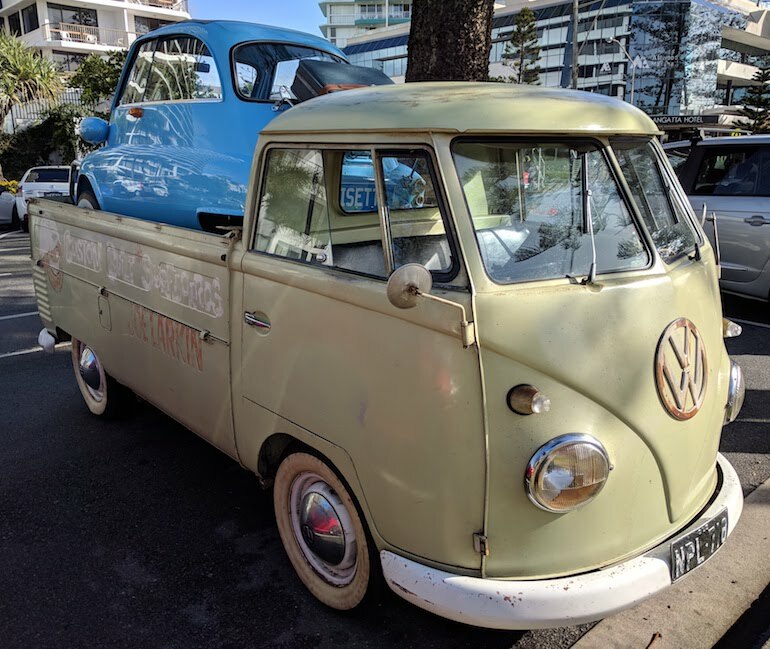 This VW Kombi Ute demonstrated its capability by carrying the three wheeled BMW Isetta onboard. 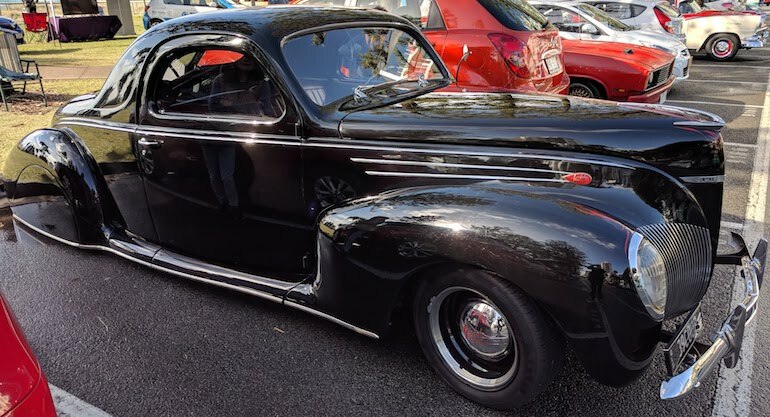 Dramatic styling of the 1939 Lincoln Zephyr coupe is emphasized in lowrider form. In 1939, the Lincoln Zephyr coupe was delivered with a V12 complete with alloy heads. 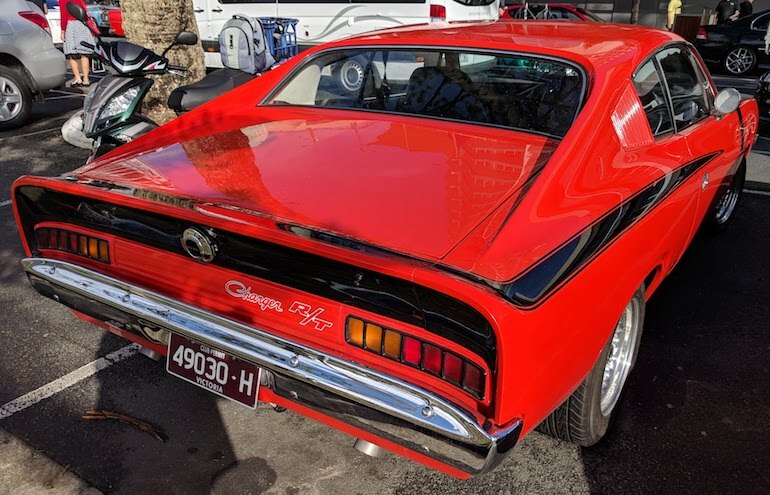 The short wheelbase of the 1971 Australian Chrysler Valiant Charger R/T provided great handling on the race track. This image shows the dramatic rear end styling with an inbuilt rear spoiler. American muscle was fully represented at Cooly Rocks On with many Fords, Mopars, and GM classic cars and hotrods. 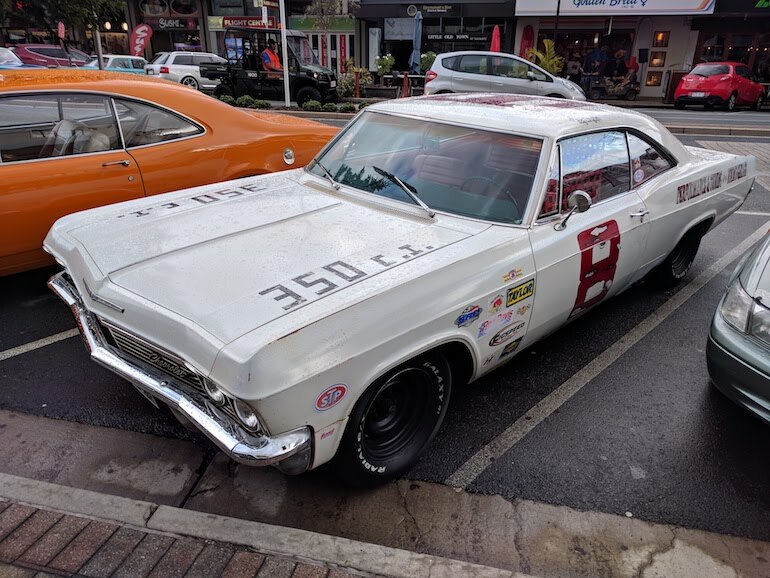 This Chevrolet Impala of the NASCAR series added to the international flavor of the event. 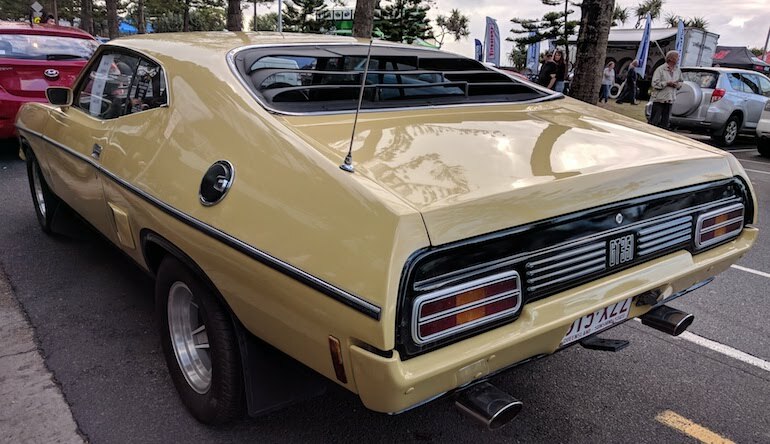 Australian Ford Falcon XB GT 351 was the road racer from Ford for the mid 1970s. The huge rear fenders accommodated a 10 inch rear wheel on the racetrack to get the power on the ground from the Cleveland 351 cubic inch V8. Four wheel disc brakes were fitted as a factory standard. 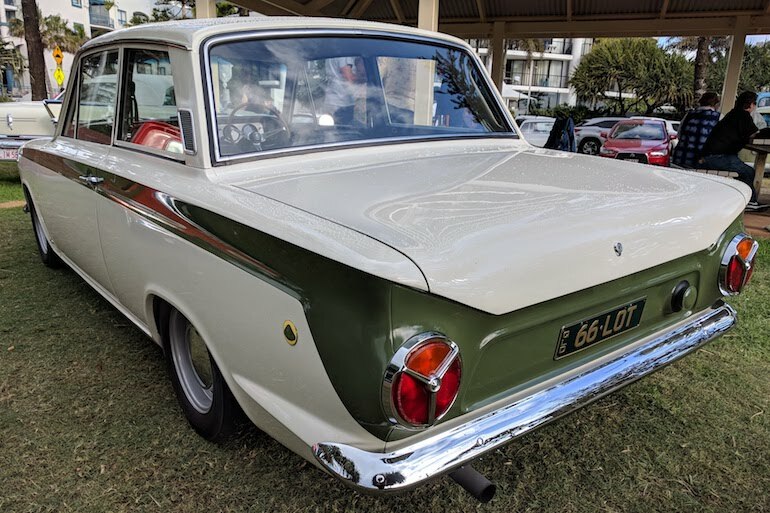 One of the first ever Fords with rear disc brakes. 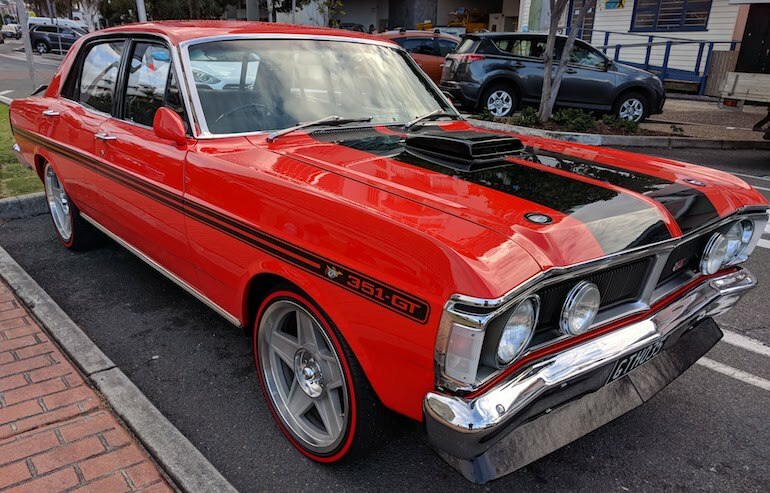 In 1971, the Phase 3 version of this Australian Ford Falcon GT-HO was the fastest production four door sedan in the world. The 375 horsepower 351 cubic inch engine could push this road racer to over 140mph right off the factory floor. This particular car has low profile tires on oversized wheels which bring the style into the 21st century. A rare but famous Ford muscle car of the early to mid 1960s. 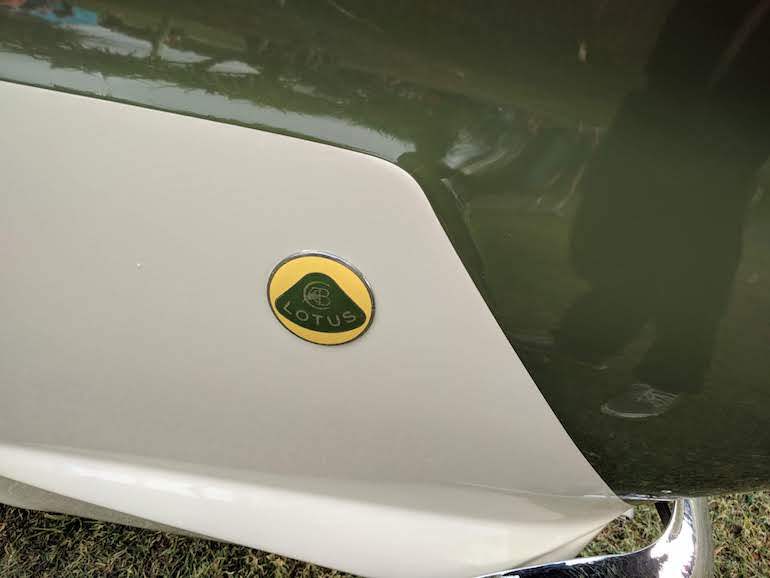 The Ford Lotus Cortina Mark II in signature creamy white with British racing green stripes. It was the giant killer of the early Jaguars on the racetrack until Ford Mustang V8s began to dominate the finish lines. 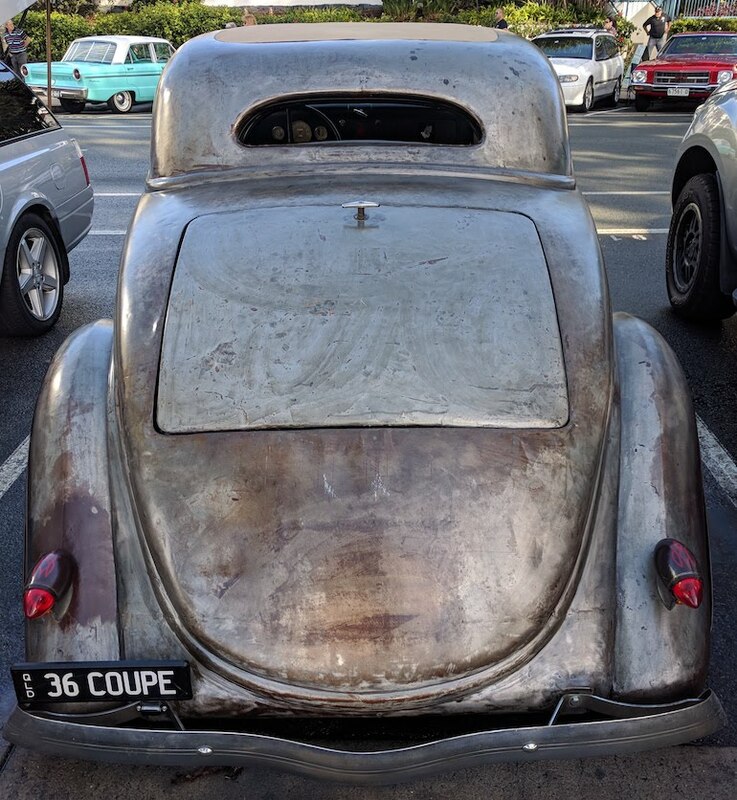 Nice patina! 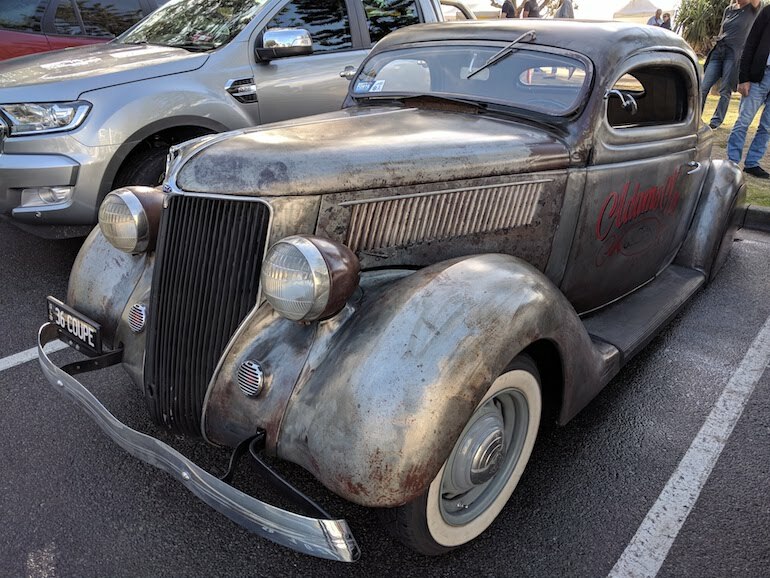 An all bare metal example of a chopped 1936 Ford Coupe lowrider with clear coat finish. Want to see more at Cooly Rocks On? The show continues through Saturday and Sunday, 9th and 10th of June, 2018 in Coolangatta, Queensland, Australia.